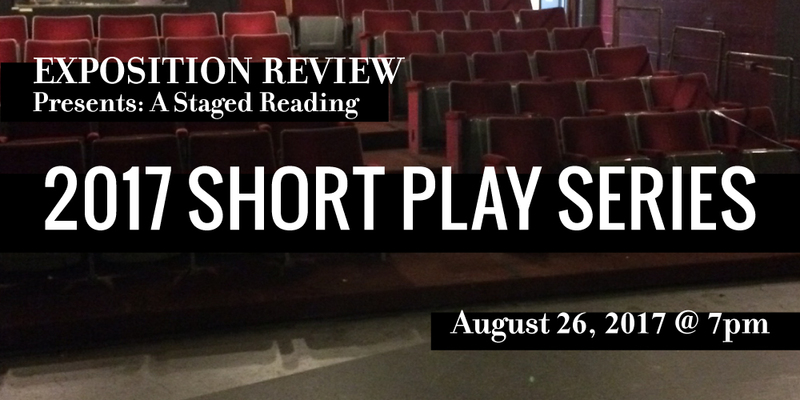 On August 26, we had the pleasure of debuting several new short plays for another #ExpoPresents event, our 2017 Short Play Series. 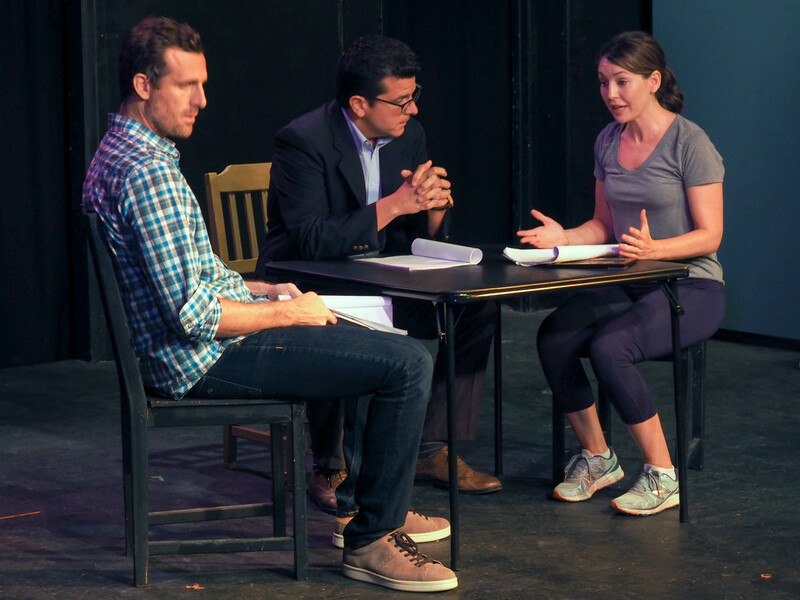 We once again packed the house at the Chromolume Theater in Los Angeles for a special, one-night-only performance of four plays that originally appeared in our 2017 issue, Vol. II” Surface,” and our 2016 Flash 405 contest. For the Short Play Series, we paired each of our playwrights with a director who could help them bring their words from the page to the stage. 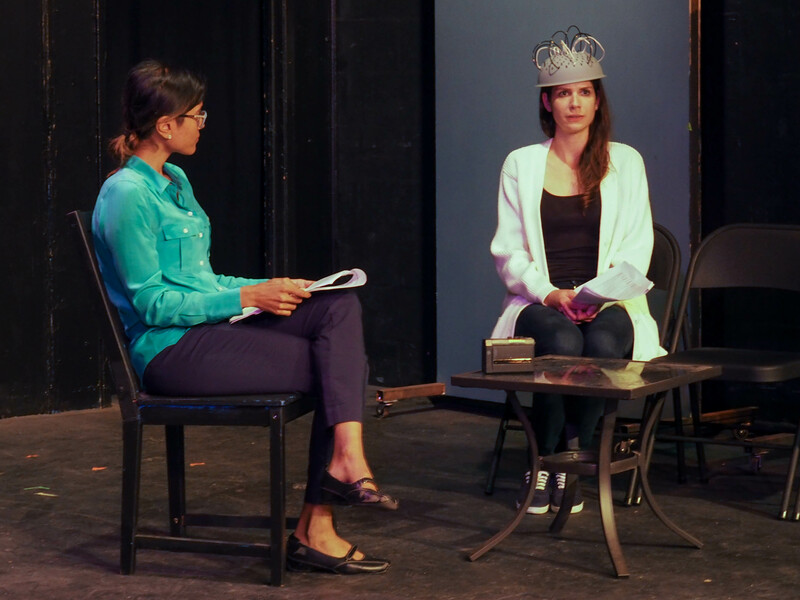 The playwright-director teams workshopped and cast each play on their own, with full creative freedom to stage, edit, or even expand the plays. In fact, one of the highlights of the evening was comparing the performed pieces to the original scripts published in Exposition Review. Jonathan Kuhn’s chilling “All That We See or Seem” was read true to the work published in Expo, but still managed to bring a few surprises with poetic performances by the cast. In Lena Ford’s “The Newlywed,” the comedic direction of Maureen Lee Lenker brought a sense of humor to the play that even the playwright didn’t realize was there until she saw the piece performed. 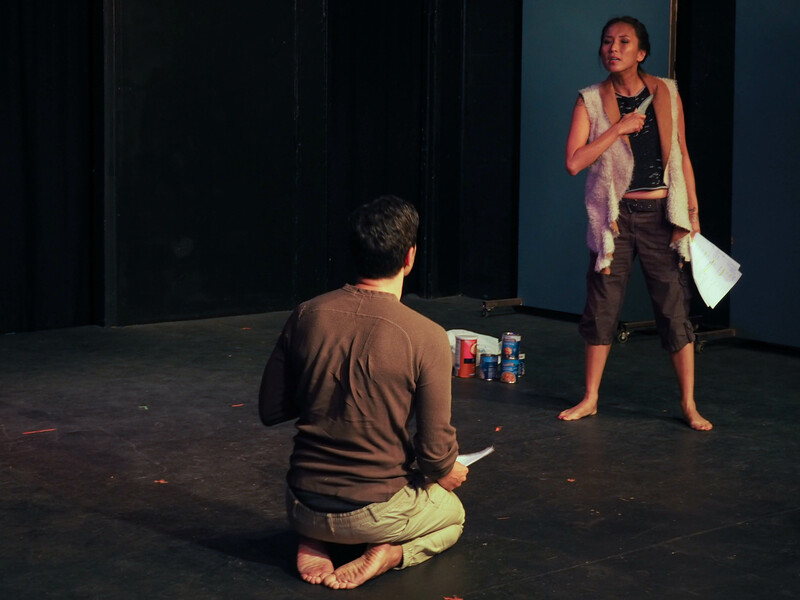 Arthur Keng took the opportunity to change the end of his play “Forced Position,” adding a new scene that shed more light on the tragic backstory and emotional journey of his characters. The changes were most apparent in LM Wetzork’s “Rubble,” which was published as a flash play and expanded into a ten-minute play for the Short Play Series, and will eventually be worked into a full length play. The play itself is an intense exploration of language, hope, and survival, and one eerily more prophetic in the age of the Trump presidency. Following the performances, Vol. I and Vol. 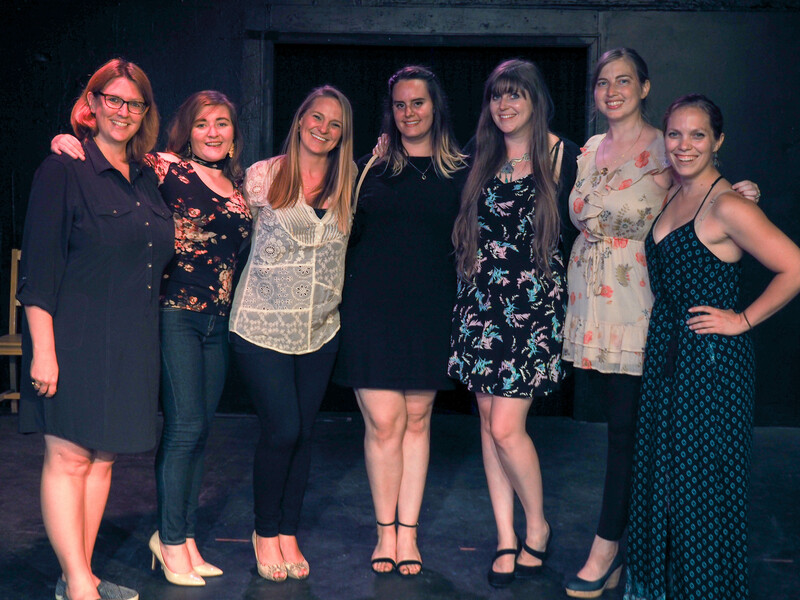 II Stage & Screen Editor and new Expo Editor-in-Chief Lauren Gorski interviewed the writers about craft, process, and theater. 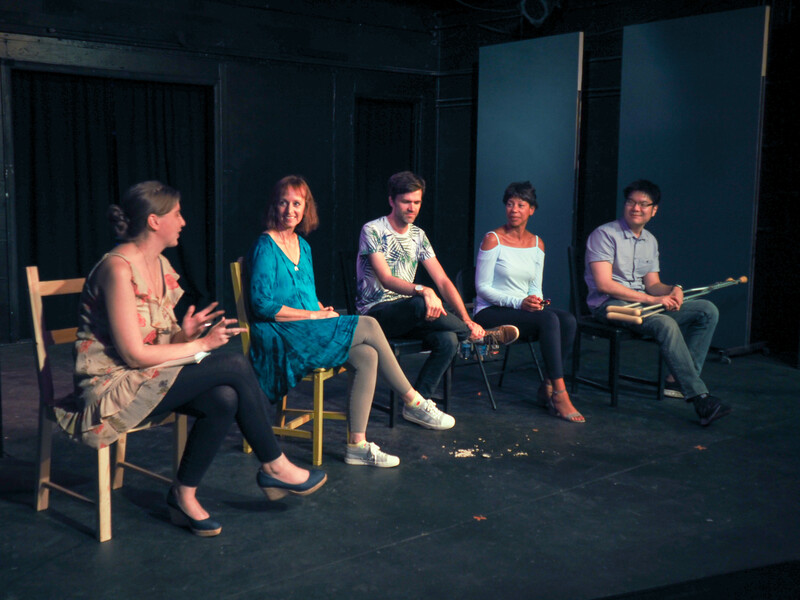 Expo editor Lauren Gorski interviewed the playwrights following the staged readings. Immediately asking the question on everyone’s mind, Gorski addressed the changes in the plays and asked the playwrights how they know when a piece is ready. “When I’m ready to burn it,” remarked Wetzork. For Ford, who is working her play into a fiction story, it depends on where she wants to submit it, but with stageplays, the collaborative process of reading, listening, and watching brings about her own and natural changes in her work. Gorski then asked how working with directors and actors changed their pieces and process. Kuhn said, “When you create something in your head, it makes perfect sense.” But then you have to make it work for the other people involved and, of course, the audience. Keng appreciates the way the stage gives a confusion to his piece, different from reading it on the page, and he is considering translating “Forced Position” into a short film. Afterward, the writers, cast, and audience got the change to mingle at our reception, catered by our own editor and baker extraordinaire Annlee Ellingson. It was a fantastic night to mark the end of summer for Exposition Review, and a great way to get us pumped for fall—aka, our annual issue reading season! Submissions for Vol. III will open on September 15, and we look forward to reading a fresh batch of fabulous work in all genres. The tension is palpable from beginning to end in Jonathan Kuhn's "All That We See or Seem." 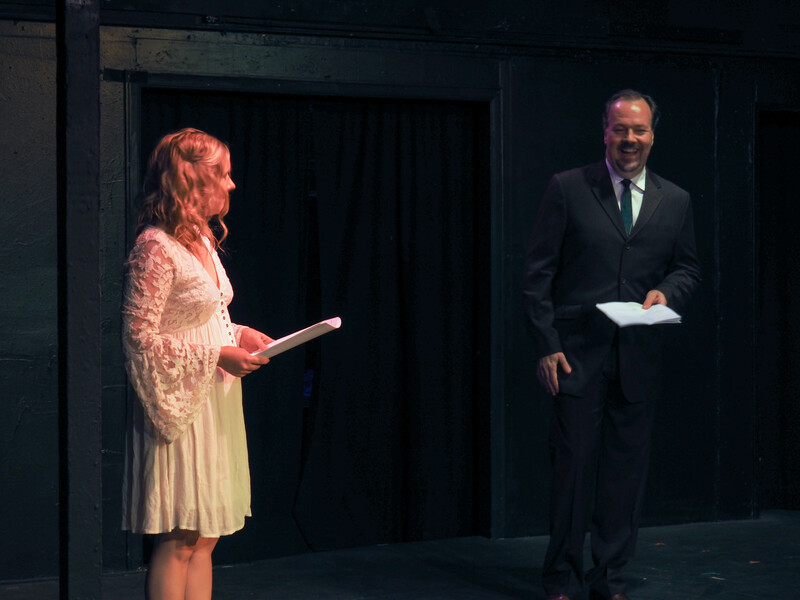 Rob Nagel brought an unexpected dose of comedy to Lena Ford's "The Newlywed." Arthur Keng's "Forced Position" went from yoga to therapy to marriage, taking the viewer on an emotional ride. LM Wetzork's "Rubble" combined new language with primal urges. After the show and reception, Expo's editors took the stage.